Broadway In Chicago announced that STOMP, the international percussion sensation, returns to Chicago for the holidays by popular demand to play the Broadway Playhouse at Water Tower Place (175 E Chestnut) for a limited engagement December 5 - 30, 2018. 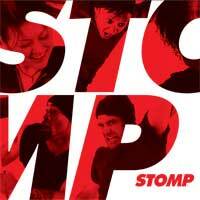 From its beginnings as a street performance in the UK, STOMP has grown into an international sensation over the past 20 years, having performed in more than 50 countries. Individual tickets go on-sale to the public on September 28, 2018.